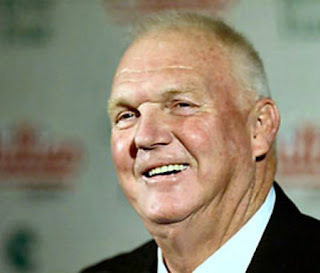 The Phillies seemed like they may make a move, there was some indication from GM Pat Gillick, but that ended up to be all smoke and mirrors as the Phillies didn't make any moves at the end of the trade deadline. Does this team have what it takes to go to the next level? The way they are playing now it sure seems like it, but they missed a chance to go further into a position that will take them deeper in the playoffs, if they make it in. 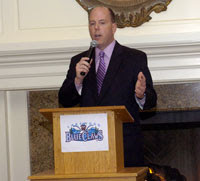 Plans were announced that the Phillies were looking, but nothing came of this in the final day of the trading bonanza that some teams participated in. 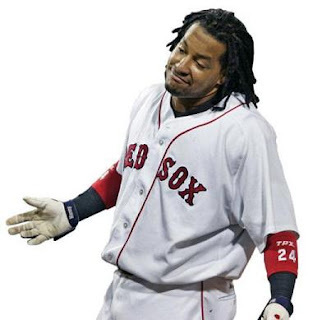 Who would want a guy like Manny Ramirez? He shows no class to a city and team that paid him millions to play baseball only to act like a total a$$hole and embarrass himself in the process. I don't care if the guy hits 50 homeruns a year, he's got no class and I hope Phillies fans greet him with a round of boos to let him know what kind of a guy he really is! He may have Hall of Fame numbers, but no one with that kind of stats should go around and try to be bigger than baseball, he's got no class and it shows! Booooooooooo !!!!!!!!!!!!!!!!!! It's good to see the Phillies winning in DC, if they can't win there, there's going to be big trouble, although the Nats always play pesky with the Phillies. A couple of trades announced today= who else but the Yankees? The Phillies are no where to be found though on the MLB trade rumors marketplace. Are they going to go without picking up anyone else? Just wait till tomorrow at 4 pm but it looks like they might at this time. No real solid rumors about anybody moving off the team and no solid info on a pickup, although they may announce something after tonight's game. I would like to see them get a rock solid starter, Greg Maddux maybe but that seems like an impossibility. This is the Phillies time to bring a championship so they must strike while the iron is still hot! I enjoy my Sunday trips to see the Phillies. Today, it was more of an adventure than just going to a ballgame. I knew the weather forecast spoke of a chance of thundershowers later in the afternoon, today... but what happened shortly after the game got underway at Citizens Bank Park was really scary. I listen to the game on the radio as I am watching the play on the field, the radio announcers said that it was very dark over Center City and it looked like the weather was heading toward the stadium. In the next few minutes, the weather changed dramatically. The wind tore at the flags out in center field, you could hear the flags whipping in the wind really loudly, and about 25 hotdog wrappers took to the air as well as many of other papers and cups and then came the very cool temperatures and finally the storm. PA announcer Dan Baker at the stadium advised fans right after it started pouring rain to 'take cover, the National Weather service has advised that anyone in a open area take cover immediately' this should have been announced a couple of minutes sooner as the skies angrily spouted buckets of rain and lighting and thunder were all over the stadium area almost immediately after Baker made his announcement. Fans scrambled for cover as vicious lightning, and roars of thunder claps made the storm even more violent. Fans on the third deck almost had no time to react, many were still in the upper decks long into the storm which as I said was very violent with thick bolts of lightning and thunder so loud it sounded as it the Vet were being imploded again just in the parking area of the stadium. The Phillies should have given more advanced warning to what was about to engulf the stadium and the fans in it. Fast forward 1 hour and 57 minutes worth of rain delay, or storm delay we should call it! There was baseball today despite all the weather! The Phillies started this game terribly as newcomer Joe Blanton was getting rocked with every pitch he was throwing before the storm hit. The rain saved him for the day, but after the violent storm, Adam Eaton almost pitched exactly like Blanton and gave up 5 hits and 3 runs with a wild pitch. Two of the five hits were for homeruns (back to back) and the crowd let Eaton know what they think of him with a chorus of boos from about every area of the stadium. He is about the most unpopular Phillie player at this moment for sure. Going into the Phillies at bats for the bottom of the 4th, the team was down 5-0 and it looked bleak that they would be able to overcome yet another 5 runs down game. No problem, the bottom of the fourth, the Phillies would just pound 5 runs out themselves to tie this thing, and give some new hope to the fans who stayed for the rest of the game. This game seemed like it never would end. By the end of the game, the Phillies would have posted 12 runs on 14 hits, but the Braves wouldn't die quietly and almost came back in the bottom of the ninth, only to fall short losing 12-10. The rock solid Phillies bullpen would have some gaping holes today as did the starting pitching, but in the end a win is all that counts and the Phillies stay just 1 game out of first and the NY Mets who occupy the top spot. Listening to Tom McCarthy has been difficult for me this season, does anyone else notice this? He is always accentuating the negatives a whole lot more than beating the band box for the Phillies most of the time. When a team on the opposite team from the Phillies make a good play, he's always announcing it with such glee in his voice, like we want to hear someone describe how great the other team is .... I don't understand this. McCarthy was very good before in his role on pre and post game announcer for the Phils, but now that I've heard him do more of the game with the absence of Harry Kalas, I can say he's no successor to Kalas if you're a Phillies fan. Man, you guys are tough. Although I have to admit I was never a big fan - mostly because he and Howie never seemed comfortable together. I guess he had a tough act to follow: Howie Rose and Gary Cohen were not just good, but may have been the best radio team going. And then before that, well, it was the best in the business, ‘ol Murph. Still: Tom had a frustrating habit of describing a play AFTER it happened, rather than during….Most announcers are like that, but I would rather have them “paint the word picture” for us, and Mets fans have had some of the great ones to do that…. It’s all too clear to me now. The Phillies sent McCarthy to us as a “plant” to infiltrate our team and steal our signs, inside info, etc. I demand an official MLB investigation. You might be a good spy, McCarthy, but you sucked as an announcer. Too much of a game show host guy to me! These were actual posts on the MetsBlog after McCarthy left the Mets employ. It's true that McCarthy may be a better radio announcer than a TV announcer, but for my money he's not that much of a Phillies tried and true fan. Case in point, the Braves bat around in the 9th inning tonight the Phillies are losing 7-0, and I just listened to McCarthy announce, "And the Braves have batted around" with so much glee you would think he was working for Atlanta, or just being overly impartial when we want him to soothe us over this game. The brew ha ha that is simmering with Jimmy Rollins and Charlie Manuel shouldn't be so public. Manuel shouldn't just throw Rollins to the wolves and then Rollins is being torn to shreds by anyone who is familiar with the 'rules' to live by set by Manuel. I don't agree that an all star like Rollins should be treated like a rookie, there are circumstances that can contribute to a solution to a problem like Rollins had on Thursday morning, hitting tremendous traffic in New York City. This is such an occurrence, Rollins didn't do it on purpose- traffic just seems to 'happen' in New York. I know this first hand, once I was driving to Shea to see a game and got caught in a really terrible jam that I couldn't even make a 1:10 pm game by 2:30pm causing me to miss the entire game! Of course that is a rare happening, but it's New York. Manuel isn't perfect, in fact he should be called on the carpet more for what he doesn't do. He isn't a perfect manager and is no Connie Mack. The Phillies are in a playoff race that just saw them fall from the top spot, this was the last situation that the Phillies as a team need to deal with. Can't this team just get along? I want to know the answer to the question: Why does Oliver Perez look like Cy Young when he faces the Phillies? The Phillies used to have problems with left handed pitching, it appears they still do with today's performance against Perez and the NY Mets. Perez went 15-10 for the Mets last year but prior to that he wasn't in anyone's radar as being a good pitcher. Why does he look so good against the Phillies then? One reason is that he's had some success against the Phils already, so he's in the heads of Phillies batters. The batters have to overcome this, and try not to focus on the past with him and try to figure out how to get hits off of his pitching. Ryan Howard looked particularly terrible, there is no reason for this, and Ryan needs to get more confidence about facing lefties and stop flailing at change ups way out of the strike zone. With two strikes perhaps choke up on the bat a little and protect the plate more, don't just stand up there and invite a pitcher to make you look foolish. The Phillies had a runner on third late in the game, there is no excuse not to score him! No can do though for the Phillies, they just strand him out there and no one can bring him home. Drag a bunt down the first base line in a close game, dig, claw, and muscle your way to victory if you have to, I don't see the Phillies acting this way. Perez was 3-13 in 2006 for two different teams, there's a reason for this. Go back to those days and view the video tapes, see his weaknesses because there must be plenty if he used to be a 3-13 pitcher. So my main point of this post is, Perez isn't that good so treat him that way, go up to the plate and expose his weeknesses, make him throw strikes, don't chase after his junk balls and the Phillies would have more success against him. Swing when you have two strikes, protect the plate, and make contact. Ryan Howard needs desperate help at the plate, the batting coach should be working with him tirelessly to solve the problem of his many strikeouts. I know he has a billion rbi's and many homeruns, but it's the simple things that win many ballgames. Being able to move a runner with a deep sacrifice, things like this that Ryan is failing at. Ryan is a double edged sword, he's great with homeruns at times but his all around game really suffers otherwise. I want to see him mature into a better all around player. 8-6 Phils come back and take First! Last nights game looked like a certain loss, the Mets were up 5-2 and the Phils were down to their last three outs and it certainly looked bleak. I was just going to bed for the night, I decided to leave the game on the tv on, I would be so glad that I made that decision! What happened next is one for the books, this is why baseball is so interesting, a team can score six runs in their last at bats, and come back and win a game that looked out of reach just moments ago. The Phillies have done something last night that they haven't been able to do in a long time. Load the bases and then start scoring runners. So Taguchi looked like Pete Rose up at the plate, all odds said he would be an out as he was 0-16 as a pinch hitter this year. He choked up on the bat and promptly hit it over the right fielders head and the fun was just starting as the Phillies would tie the score 5-5 and then courtesy of Jimmy Rollins go ahead and take the lead with Rollins wickedly placed double down the left field line. This game became what they call an 'instant classic' - it doesn't get much better than this. Joe Blanton looked pretty solid for the most part, a couple of pitches he threw ended up being homeruns, but overall I think he did fairly well considering the circumstances. His pitches were well located for the most part, though a couple did hang up there and they were the ones that went over the fence for the Mets. I would give Blanton a C+ for the effort though, and hope his reputation as a 'ground ball' pitcher comes through a bit better in his next start. One of the things I noticed about the team coming up to the All Star Break is that they’ve showed a lot of heart through the season leading up to the All Star Game. We are 96 games into the season that leaves only 66 games to go till the end of the regular season. It’s funny how fast the All Star break comes around and the Phillies could be in a worse situation than they are now. For now they are in first place by the slimmest of margins ½ game ahead of the Mets who have put on a run of 9 games won in a row to get to the All Star break almost over throwing the Phillies out of first place for the time being. The one Phillie player who has played everyday in every game has been Ryan Howard, he has logged play in all the games so far for the Phils, next to him the Utley and Burrell combo has each played in 94 games for the fightins. Utley has been the offensive leader of the team without a doubt although you have the double edged sword of Ryan Howard of 28 HR’s and 84 RBI’s so far despite having an incredible 129 strikeouts through the first 96 games. Look maybe for Howard to get a day off here and there in the next couple of weeks, he may need a couple days off especially if he keeps on striking out – but his 84 RBI’s is an amazing amount of rbi’s to have up to the All Star Break. Cole Hamels has been the Ace of the staff despite getting a couple of no decisions in his last couple starts that were pretty good. 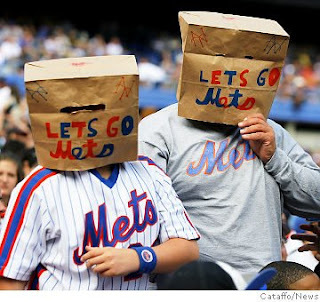 In the last ten games the Phillies are 5-5 – in contrast the Mets have been 9-1 as they charge for first themselves. If the Phillies are going to stay in first they are going to have to go out and start the next 66 games as if they are all important and they need to win them all. The Mets are going to be there at the end, near the top and they have been surging in the last couple of weeks. The Phillies have already had 2 million fans through the turnstiles at Citizens Bank Park, they should have 3 million by the time the season is over, so the fan support is there although vocal support can go a long way for the players, where the booing can wear on a player, just ask Chase Utley. Joe Blanton was added to the staff on Thursday July 17 – what pitcher will be replace by Blanton because Joe hasn’t had such a great year himself lately. Hopefully, this will change but until we see this, it could be another bad pitching pickup by the Phillies. I was skeptical when I heard this one, Joe Blanton to the Phillies? Is this the 'A' list pitcher that GM Pat Gillick was referring to ? I somehow think maybe Blanton isn't an 'A' lister, in fact I think the A's may be happy to see him gone. He did have 16 wins in 2006 however, and that may be cause for the sun to shine in on this deal. The problem is though, Blanton has been terrible this year! Is he hurt? What is the reason for his demise this year. The 2008 Oakland A's are a 51-44 ballclub at the break, they've been winning games. Blanton has a big 12 losses for them this year, does this remind you of anyone on the Phillies staff? Blanton's era is in the high 4's near the 5+ of Mr. Adam Eaton's ERA, this is certainly no cause for celebration. Maybe the change will do him good, I sure hope so because most of the pitchers that Gillick has acquired have been busts. Busts with a capital 'B' - I don't know but I think another pitcher couldv'e served the Phillies better than a guy who is having his worst year of his career and he's only been pitching for about 5 seasons. Does this kind of remind you of the year that Brett Myers is having? Blanton has 70 Earned Runs given up already, this isn't a good sign considering no one else in the A's pitching staff has over 45 to this point of the All Star break. A lot of tough luck for Blanton maybe, but that is giving him every benefit of all doubt that hangs over him. Yes, Blanton has a cloud following him, and I hope he loses it when he's down in Florida this weekend! Oh yes, and ESPN sports predicts him to go 9-20 for the rest of the year if he keeps up like he has been going. Ty Cobb was a 'nasty' guy, is Chase Utley ? Chase Utley may have been very nervous when he was announced at the Home Run Derby on Monday night. He was so nervous, he actually cursed the fans who voted him into the position in the first place. If that wasn't bad enough, it made national headlines and was talked about in length today on sports radio stations in Philly and around the country. Utley has got to learn not to do things like this, an apology was issued, but the damage was done. He sounded like a spoiled multi-millionaire that didn't get what he wanted. What he wanted was cheers, and adulation. Well, Chase is an all star but he's far from the Hall of Fame and he should learn that it's the fans that support his baseball habit and keep his accustomed to his 'style' of living. In Philadelphia, Utley has been known as the quiet 'superstar'. Almost like a baseball god really. He doesn't say too much in the press and when he does it usually some recap of a play of some other quote that makes a great sound bite but may not be the way we really know about the player. We all assume he's a great character kind of guy, but this incident puts a big chink into that persona. Yes, after last night I think Utley gets looked at in a different light. The quiet trust is gone. 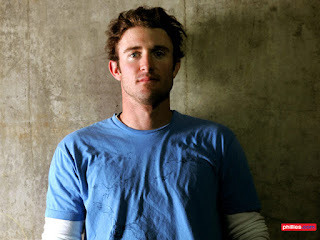 Yes, this was a error, and yes everyone is human and makes mistakes, but Utley uttering the words, "Boo???.... F$$k You' on the worldwide broadcast of the All Star game in 2008 has got to be one of the worst moments in Philly baseball history. I don't care if every fan in the stadium was booing Chase, come on there was a lot of Mets fans in attendance there at the All Star game you can expect a lot of boos from them at least. Chase, I am a fan of your play on the field, but you made a huge error here. It practically overshadowed the whole All Star game in Philly on the sports radio stations and around the office coolers today. It was wrong, and we heard you apologize but I think you may need some help, perhaps all the awards are going to your head or your angry. Maybe anger management class? You did a tremendous disservice to yourself, and put a huge cloud up over you for some time to come not to mention a black eye to Philadelphia. The Phillies should approach this game as they did last year on the final game of the year. The Phillies are clinging to a slimmest of leads in the division 1/2 game ahead of both the Mets and the Marlins. The team needs to step it up and play 'team' baseball. Get on base, move runners, and unselfishly play the game to win. They have a great starter in Hamels today, and they face an equally good pitcher for the Dbacks. Brandon Webb has been getting the job done for Arizona with all star numbers. He's 13-4 and looks to improve that record today. He had 18 wins total for Arizona last year, but this year he is on a roll, and the Phillies need to jump on him early get some hits and erode his confidence. Oakland lit Webb up back on June 17, 2008 with 7 hits, 5 walks and gave Webb 7 ER for the game, hopefully the Phillies can come to the plate and rough him up. Webb can be beat, and despite his record he does have a few terrible games this season. The Phillies can go into the first half All Star game break with a 1st place finish for the division for the first half with a win here today. If they don't win, they send not only a messege to the Mets and Marlins that they don't have the heart, but they could make things very interesting with the way the Mets and Marlins have been playing and open the door for them in the second half of the season. The Phillies battled the Dbacks for the game 1 win of the three game series on Friday night. The Phillies started to show a fire for the first time in a while. They were stinging the ball and playing heads up ball in a game that looked like a playoff game. The Dbacks have a lot of power, and their record is similar to the Phillies. Ryan Howard has picked up the pace and showed his home run prowess again with his home run swing getting in form despite his many strikeouts. He is looking to make positive contributions to the team though, I loved his bunt attempt the other night! It shows that he is trying to pitch in, and get the job done. Game 3 should be interesting on Sunday, I'll be up at Citizen's Bank Park to watch it all. Hear my thoughts about the first half of the Phillies season on Sunday night at 6:30 pm just go to www.phillywebcast.com and join in on the fun. Every once and a while you see a good pitcher come up from the minors and impress you with their pitching style and the way they carry themselves on the mound. James Anthony Happ is one of those pitchers. 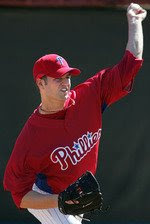 Happ was a drafted in the amateur draft of 2004 in the 3rd round and they have been keeping him pitching in the Phillies farm season for the past two seasons. Last year Happ was still curing his game, he was called up for one game against the Mets, and was bombed by a hot Mets squad waiting to pounce on him. J.A. Happ even had his own MLB Blog that he commented on how it was to be in Spring Training in 2007, you can still read his posts here. It's a rare insight to hear all about the happenings directly from a blog post by an MLB player. This year, Happ has matured into what could be a nice career for him. All too often the Phillies haven't been cultivating young pitching talent too often. In the early seventies and mid seventies it seemed like they always had Phillies minor leaguers coming up to get their shot to pitch in more than a few games. I wouldn't mind seeing Happ pitch a couple more games, give him some playing time and see where it goes. The Phillies need another lefty that is going to compliment Cole Hamels and the Happ/Hamels combo may be the ticket to the playoffs if Happ keeps pitching like he has been. All I read about in the newspapers in Philadelphia is about Ryan Howard and how many RBI's he has. 'Don't worry about his average' and 'Don't worry about all the strikeouts' always are mentioned in the articles in the Philly Inquirer all the time. To this I say, 'Bull'. No, not Greg Luzinski, but pure 'bull'! Game in game out, I am waiting for Howard to become the complete player, the little extra that will put the team first and his stats second. His strikeout rate is simply unacceptable and his ability to come through in clutch situations in almost as bad. Yes, he does come through from time to time, but every Phillies player has done that during the season. Yesterday at Sunday's game against the Mets, Howard left 5 men stranded on base himself. You can't win ballgames that way, also Pedro Feliz did the same thing, he left 6 men on base. Howard swung like a rusty gate with 4 strikeouts alone in this game. Have the guy bunt in certain situations I say, he can't hit the ball so have him at least move a runner. When the season is over the whole story will be told, I personally think the Phillies should shop him for Tim Lincecum if the Giants would entertain it, I really would do that deal in a second. Get someone for Howard, make it a blockbuster. I don't think a a guy with a 123 strikeouts is worth having on the team with a couple more games to go towards the first half of the season. Philly fans are addicted to the long ball and I will tell you that this doesn't win ballgames, it's the guy that's moving runners with clutch hits, and even a sac fly which Howard doesn't seem capable of doing. A new week brings better fortunes for the Phillies team. See what a difference a week makes? Hear the show on this week's edition of the Phillies Talk podcast.